This author always satisfies me when I need a mix of mystery and romance, and her latest book The Lake House, is a great addition to my list of favorites. Morton sets the the story in the beautiful Cornish countryside, and uses a suspected kidnapping as bait for a multigenerational saga. Detective Sadie Sparrow works to solve the cold case of a missing toddler, seventy years after the incident. Although the movie, The Big Short, was categorized as a comedy, it seemed more like a horror story to me. Paul Murray uses the same theme of banker corruption in his book The Mark and the Void, focusing on the European financial crisis. NPR’s Jason Sheehan calls it “the funniest banking book of the year” but to me, it was just scary thinking there are so many crazy people out there. Maybe the financial crisis and the housing market were still on my mind when I read Sonya Cobb’s art heist mystery. Despite the angst of her heroine, who steals precious artifacts from the Philadelphia Museum of Art, where her husband is a curator, I could only focus on her attempt to pay off her mortgage. The timeframe of the story would be about the time of the great real estate debacle when so many unsuspecting home owners were suddenly swept away under growing interest rates, and homes they could not afford in the first place. Life Lessons by Elizabeth Kubler-Rosss and David Kellser caught my eye. You may remember Kubler-Ross for the famous categorizing of the five stages of grief – from denial to acceptance? This book focuses on managing life, with chapters on guilt, anger, fear, and patience – pick your poison and learn a few management skills. How To Keep People From Pushing Your Buttons by Albert Ellis and Arthur Lange in next on my bedside pile. I cannot tell you about my latest read – “the sacrilege of just blurting out what had taken chapters to build, secrets hidden carefully by the author behind countless sleights of hand…” (Kate Morton). And the possibility that you won’t like it as much as I did would hurt too much. 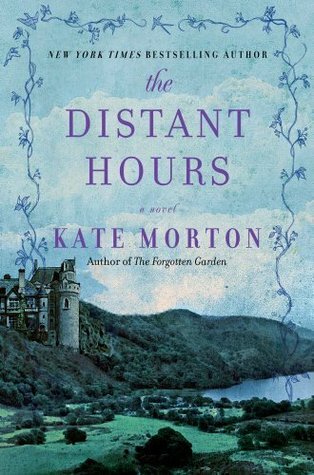 if you love to reread Jane Eyre… you might try Kate Morton’s latest – The Distant Hours. 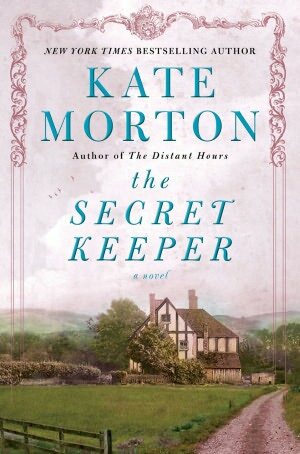 In her third gothic mystery, this time within a castle during World War II as the setting, Morton uses an undelivered letter reappearing fifty years later to trigger the search into a mother’s past that leads to a delicious unraveling of characters and plot. Starting slowly and with detailed description that annoyingly slows down the narrative, Morton lost me several times to her nostalgia before yanking me back to the mystery. Satisfying and comforting, the Distant Hours is an escape – easy to get lost in it for a long time, and leaving you a little startled when it ends. 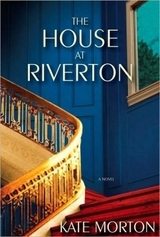 Morton’s first novel has her familiar penchant for secrets, as well as her Gothic style. The characters reveal themselves more slowly in this one, and the story seems a cross between The Thirteenth Tale and Atonement. Grace is 98 years old when she is interviewed for a documentary about Riverton, the house where she served as a young maid for Hannah, daughter of a wealthy and established family in pre World War I Britain. From casual conversations, it’s clear that Grace has had a good life since then, and yearns to see her grandson, a writer, once more before she dies. She tells her story as she dictates into a tape recorder, reminiscing and setting the record straight about her employers and a final confrontation that has made the house a legend. You might think you suspect her secret, but the ending is a whopper, and uses shorthand (Gregg was invented in 1888) as the device. This is post-Victoria England – upstairs/downstairs British families, two world wars, money made and lost, secret lovers, and, of course, scandalous secrets – whispered in the scullery – an upscale soap opera – juicy and fun to read.